The aged care system in Brisbane & Queensland is about to undergo massive change. Yet most seniors, carers and their families are not prepared have no idea how this will impact their financial position. If your need for aged care – or that of a family member – is approaching, then you will almost certainly be affected. For many people, it’s a case of Living Longer, NOT Living Better! as aged care accommodation costs rise. I will cover how this could affect YOU below, but first some background. There is a huge wave of retiring baby boomers who will need care over the next 20-30 years. Each year this group is projected to grow by 200,000, putting a huge strain on the aged care system. In addition to the growth in elderly people in our community, these people are also living longer than ever before – so each resident will require more care on average. Accommodation supply is already tight, and set to get tighter. There are only a limited number of existing aged care beds available, and investment into new the construction of new residential aged care facilities has not kept pace with growing demand for nursing home style accommodation. ‘Baby boomers’ have always done things differently and aged care will be no different. Bernard Salt & others predict this generation will have a strong preference for receiving care in the home for as long as possible. Aged care is already a massive government expenditure, but in future there will be less workers contributing to the tax base putting further strain on the delivery of care services by the federal government. So in this environment, it’s perhaps no surprise that the over-riding feature of the new aged care rule changes is to make the system more “user pays”. That is, if you have the financial assets and income to pay for care, then from July 1st you will pay more. How do the aged care changes affect your finances? This replace the previous ‘Accommodation Bond’ cost. It is an upfront lump sum payment towards care for the accommodation. The aged care facilities set the charge for the RAD and the full amount is refunded when the resident leaves or passes away (the ‘retention amount’ of existing accommodation bonds has been scrapped). The DAP is an alternative to the lump sum payment method for the accommodation component of aged care. It essentially replaces the ‘periodic payment’. Every one in residential aged care pays this. Currently indexed at $46.50 per day. This is means tested based on the income and assets of the resident. 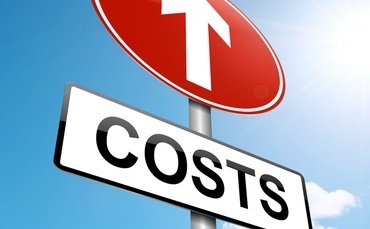 The cost covers expenses and care, not accommodation. As you can see, admission into aged care is very complex and aged care accommodation costs WILL rise for many. Different fees and charges maybe be payable, but there is a lot that can be done to make the situation positive for you & your family. The best thing you can do is to check with a financial planner who specialises in aged care – they are best placed to help with best ways to pay for care, manage cash-flow and minimise fees. Please call our office on (07) 3229 0023 for chat. Your Inheritance Is At Risk: Are Aged Care Costs to Blame? What is ACAT? 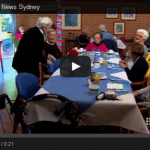 How Do Aged Care Assessment Teams Work in Brisbane & QLD?